Hello. 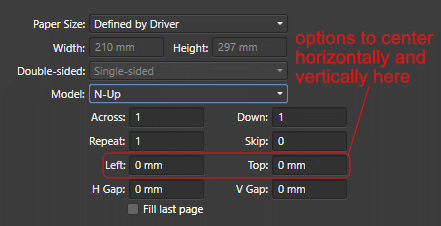 It would be useful if the print dialog had an option to center horizontally and vertically when using N-Up layout. That way you has not to calculate the top and left distance manually. I attach an image to clarify.